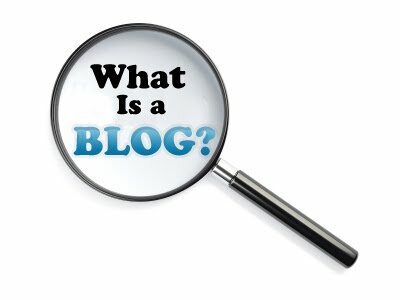 After browsing and having my own little research, here are the things that I found as the characteristics of a good blog. May you find this helpful. A good blog should be search engine friendly. Though Site Build It would say that blogging is less than a website due to some reasons, and one of those reasons is about Search Engine ranking, I would say that time have probably changed. Today, there are hundreds of blogs now that ranks well on Search Engines. Some are even better than websites. It is because many blogs now looks like a website, and some are even more highly optimized than websites. So I believe that Search Engines now have respected blogs as well as they respect the real websites. Have you seen a blog that is hard to follow due to poor navigation system within the blog? Visitors should easily see what to browse. Navigation bars should invite your blog visitor to click more, not just the ads but the content itself. I find this a challenge especially in my early years of blogging. I was torn between the two; whether or not to place an ad, or navigation bar. Now I finally understand that between a nav bar or an ad, nav bar would turn out to be a more important one because it encourages the visitor to stay a little longer within your blog. Perhaps this one depends on really on the purpose of the blog. There are blogs that were really intended for members only, while there are blogs that are open for general public. If you have a blogspot.com blog, I would recommend that you go to Settings and Click Comments, and make sure that you highlight beside “Who can comment?” the “Anyone”. This will encourage your visitor to place some comments on it freely and without a hassle. And before I forget, also check that it was set to “Always” beside the “Comment moderation”. This is to guard safe your blog against SPAM. As the old blog gurus said, “Content is the King”. Good content accompanied by SEO means more visitors. Having the real good content means repeat visitors and more subscribers. There are thousands of blogs out there that were mainly made for their own selves and not for anybody else. Some were made out of one purpose, “MONEY”. Well, blogs can be made for that, but real good content can produce more of that. If your content is helpful to people, it attracts more readers, subscribers, and Search Engines. I added this one because I believe that there should be a payback for all your labor. It’s tiring to work on something that does not pay you back. It’s hard to pursue a business that does not have any profit and all the more if it did not even produced a single cent. Why should you continue blogging if it can’t even pay your hosting and domain bills? The idea of blogging is, enjoying your life writing about things that you love the most, while at the same time earning for it.